Doing a proper backup of your Ledger Nano S, Ledger Nano X, or Ledger Blue hardware wallet’s recovery seed is a very important step when investing in bitcoin or cryptocurrencies in general, because having an accurate backup gives you access to your funds if ever you lose or break your hardware wallet. Here’s a guide on how to properly backup your wallet’s recovery seed to be ready for potential wallet problems in the future. NOTE: This guide is for people who are setting up their hardware wallet for the first time. If you’ve set up a wallet in the past and have not backed up the recovery seed properly or accurately, we suggest sending off your funds to a mobile wallet temporarily, and follow these steps to make a new safe and secure wallet. 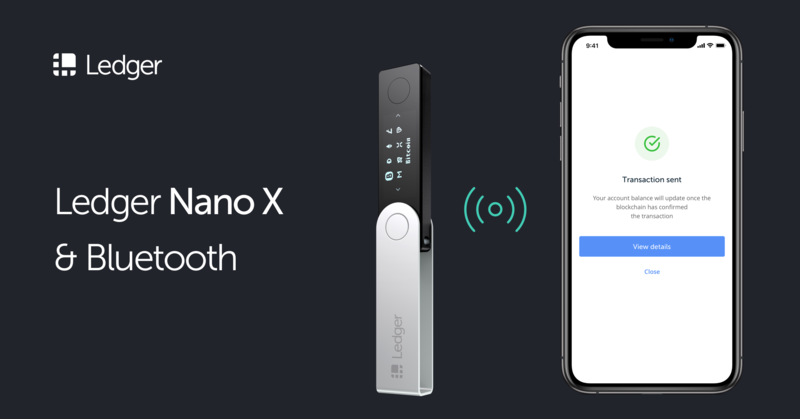 In this example, we’re going to use the Ledger Nano S, but the process is pretty much the same with the Ledger Blue. You can download Ledger Live here if you haven’t yet. To make sure your Ledger Live is up to date: simply open your Ledger Live application, and see if an update notification appears. If not, then chances are that your Ledger Live is already up to date. Simply initialize your device as a new device and go through the very simple steps shown on the Ledger Live. NOTE: When choosing a pin, using a 6-8 digit pin is recommended to make the pin significantly harder to guess. Your recovery seed will be displayed in the Ledger device(not on your computer’s screen) for security reasons. Accurately and neatly write down the recovery seed displayed on the Ledger device on a piece of paper. NOT on notepad, NOT on Facebook Messenger, NOT on Microsoft Word, NOT on your phone’s notes app. Saving your recovery seed digitally is a huge security risk if you don’t know what you’re doing. Only backup your recovery seed offline. Why write the seed on a piece of paper and not on the Recovery sheet? If a thief unfortunately gets a hold of your recovery seed, we definitely wouldn’t like to make the thief think that that piece of paper is something of importance, and that using the seed would give the thief access to more money. Using a simple piece of paper or an old torn-out cardboard gives more of an impression that the paper and it’s content is irrelevant and nothing of importance. NOTE: If a recovery seed is already written down on the Recovery sheet that came with the device, then it means the package has been tampered with. If so, do NOT use the recovery seed written on the sheet. The recovery seed must be generated and written down by you only. Simply store the paper with your recovery seed somewhere safe, and where other people besides you have access to. Preferably, on a fire and water-proof safe if you’re holding amounts that are quite high. After doing these few simple steps correctly, we now have to verify our recovery seed. Just to be 100% sure that you’ve actually written down the correct set of words and in the correct sequence. So don’t send your funds to your ledger’s addresses just yet.